Summary: The recipe for 3-ingredient marinara has gotten huge on the web, especially on Pinterest. At first glance, you think that the recipe is simply for easy marinara, but then you read the rave reviews that describe this sauce as "velvety," "buttery," and "the best marinara I've ever had." What is a vegan to do? We want delicious buttery, velvety, marinara, too! The recipe for 3-ingredient marinara has gotten huge on the web, especially on Pinterest. 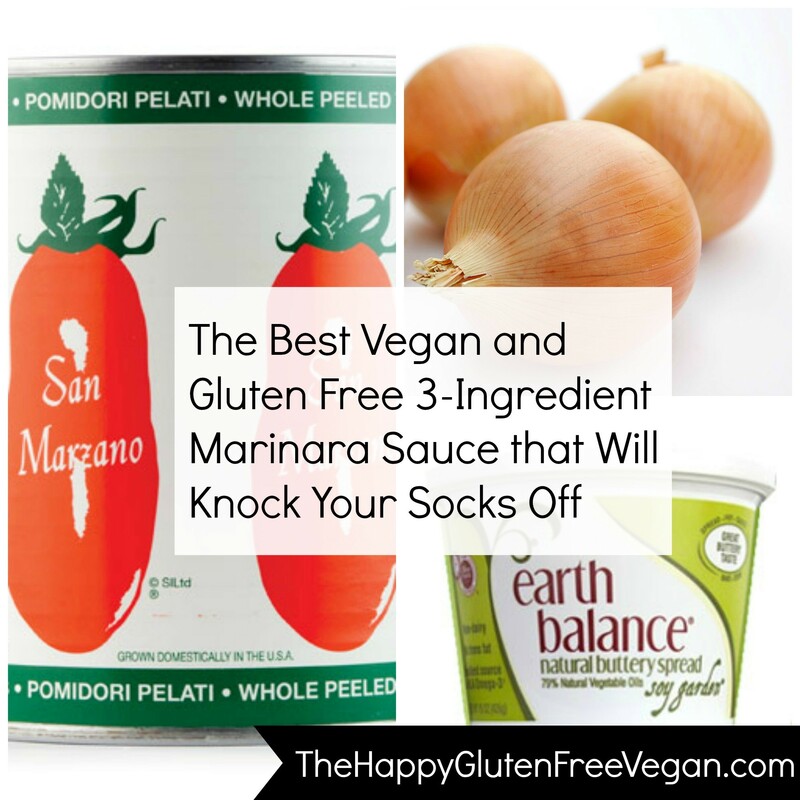 At first glance, you think that the recipe is simply for easy marinara, but then you read the rave reviews that describe this sauce as “velvety,” “buttery,” and “the best marinara I’ve ever had.” What is a vegan to do? We want delicious buttery, velvety, marinara, too! 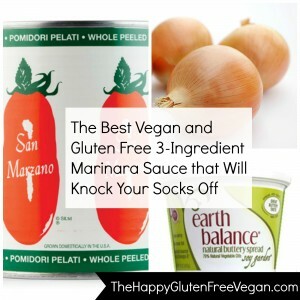 Well we’ve got you covered; you’re going to love this marinara. In a heavy saucepan, over medium heat, place all of the ingredients. Bring to a simmer and then lower the heat and simmer for about 45 minutes. You’ll see fat floating, just keep stirring with a wooden spoon, smashing the tomatoes. After about 45 minutes, remove the onions and discard. Salt to taste. Serve right away on your favorite gluten free pasta. This pasta sauce tastes so amazing, that you may just want to make a few batches for the entire week. Simple store in the refrigerator in an airtight container.